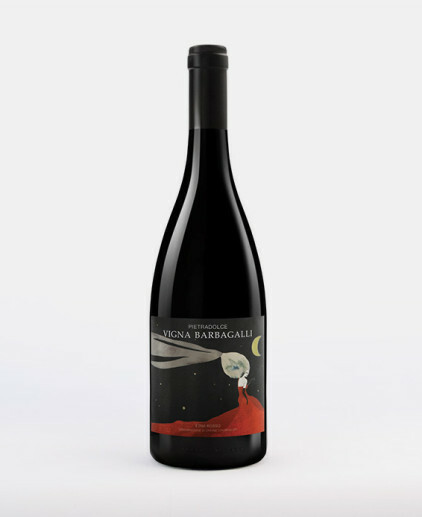 This pure Nerello Mascalese comes from our ungrafted vineyard Chiusa Spagnola, situated lower in the valley floor, a bit hidden in an amphytheater, surrounded by lava. A unique vineyard, planted around 1925 at a lower altitude (620m. 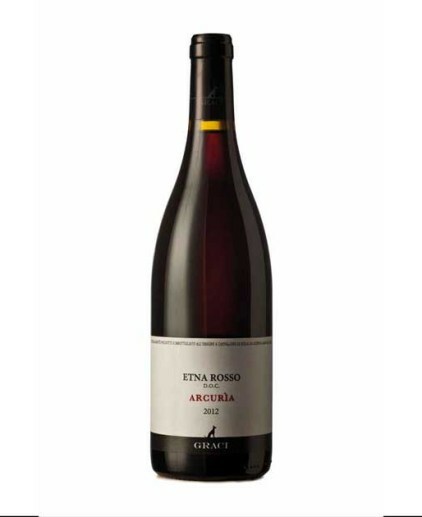 asl) producing a profound, tannic wine, a bit more backward and Nebbiolo-ish compared to our other crus. Our products are the result of this philosophy and our hands and team. 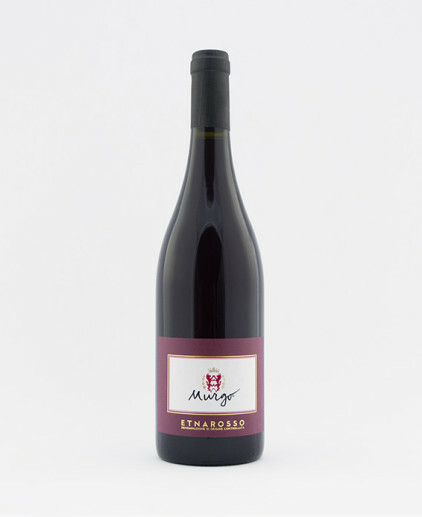 Wines and olive oils which reflect ultimate territorial identity and mineral depth carry the name Magma® and MunJebel®. These are single cru and vintage wines and olive oils from various superb terroirs between 600-1.000 metres altitude in the Northern valley of Mount Etna, Sicily. 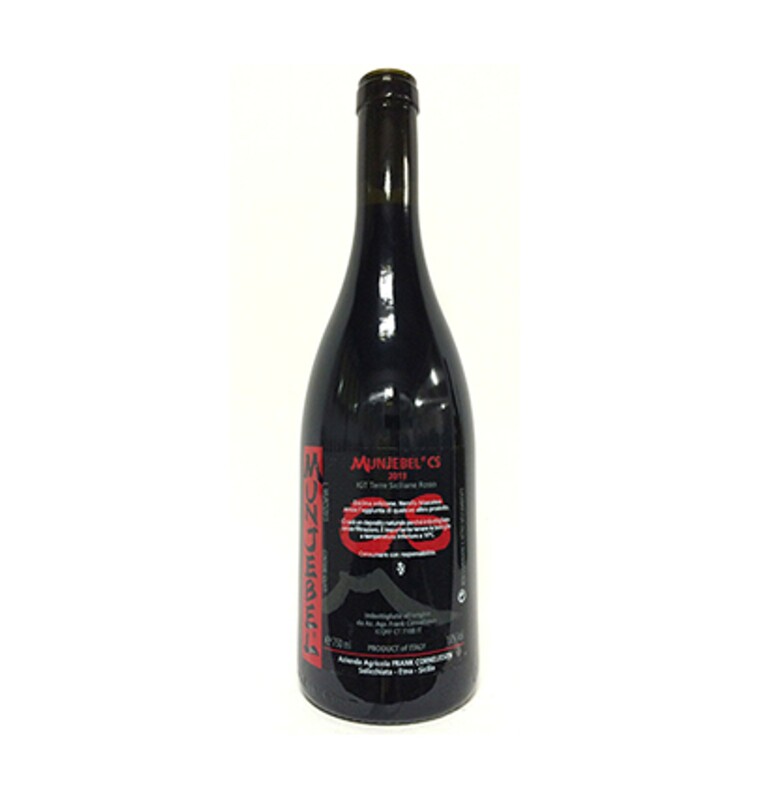 Magma® Rosso is our "Grand Vin", produced from only Nerello Mascalese grapes in contrada Barbabecchi. Magma® Olio di Oliva is pressed from perfectly ripe San Benedetto olives from contrada Borriglione. In order to obtain profound, territorial wines, our grape yields are low, around 300 to 500g per vine, achieved by pruning very short in the dormant season. On our MunJebel® single vineyard cru's and our Grand Vin Magma®, every grape cluster is tailored, with tails cut away and unripe or damaged berries delicately hand picked out. We harvest relatively late, in search for perfect ripeness, starting mid October to mid November, effected in multiple passes, to obtain dense and profound wines. We refuse to add any product in every aspect of our winemaking and bottling, thus also avoiding the use of sulphur dioxide, which enables our wines to express themselves to their full extent. The grapes are transformed in a delicate way, fermented with the skins in small neutral tubs to avoid high temperatures during fermentation, which lasts at least until alcoholic fermentation is finished, depending on the quality of the skins, enabling the fermentation to finish perfectly. After this stage, the wines are gently pressed and stored in neutral vessels in order not to absorb any external taste. The wines destined for early bottling go into bigger HDPE decanting tanks whereas the wines with higher tannin levels are aged in epoxy-treated terracotta vessels of 400 litres, buried up to the neck in the cellar in ground volcanic rock. Olive oil has become a real passion. The idea of making a no-compromise olive oil has taken us back to basics, employing the same philosophy and quality standards and selections of our Grand Vin, Magma®. Starting with the great San Benedetto variety which gives the highest territorial definition and most delicate aromas, selecting terroirs that have the capacity of high definition, hand picking in multiple passes only the ripe ones, then deselecting olive by olive(!) to keep just the perfectly healthy/undamaged. These are taken to the press house in small cases of 5kg, in order to avoid damage. Gentile, traditional stone crushing without oxidizing maintains the molecular integrity of the olive paste before vertical pressing on our own mats. The oil is then decanted into glass demi-johns for resting under inert argon gas, before being bottled unfiltered. Obviously, this oil also carries the name Magma® reflecting its mineral roots. As bread is a daily need and the origin of the most nutritious cereals are in Sicily, we were drawn to produce this obvious and classic farming product, abandoned many years ago in our region. Although our farm horse Asturia died and this project is postponed until we have the time and proper space to work cereals, we continue to grow buckwheat on land which is being prepared for planting vineyards, as buckwheat helps regenerate soil. Our ultimate goal is to evolve towards a self-sustainable agricultural reality based on the trilogy of Mediteranean farming (cereals, olive oil and wine) without exploiting Mother Earth, to produce whilst also returning, evolving towards an equilibrium of the land, which will take time. Making such products without compromise in quality and profoundly authentic to territory, with low yield, high attention to detail, and continuous investing in quality with respect for nature adds up to a certain cost. Our Grand Vin Magma® and our MunJebel® single vineyard crus are wines with an inevitably high price tag and therefor we take pride in producing and offering at a great value for money our classic MunJebel® Bianco and Rosso estate wines and especially our entry level red Contadino and rosé Susucaru®. 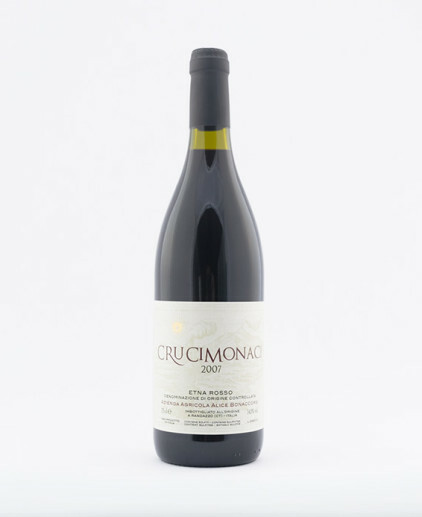 Both these wines are high value, produced from local red and white old vine varietals from different contradas. Although less defined than MunJebel® or Magma®, these jewels express the exact same estate philosophy in the glass: highly concentrated raw material and nothing added to express terroir to it's full extent! All our products are produced without the use of preservatives (i.e. no added sulphur whatsoever) in order to be able to develop freely to their full potential. This requires transportation and storage below 16°C.